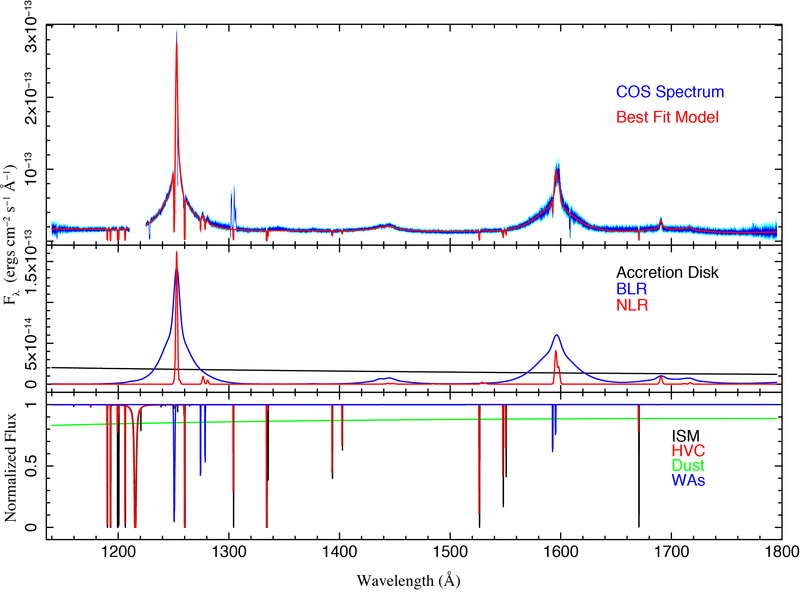 XSTAR model fit to the HST/COS combined emission and absorption line spectrum of Mrk 290. Top panel: data and model fit; lower panels: emission and absorption model components (Zhang et al. 2014). XSTAR model fit to the Hitomi observation of the Perseus cluster. XSTAR is a computer program for calculating the physical conditions and emission spectra of photoionized gases. Current version is 2.39, also available as part of heasoft 6.21. How Do I Get XSTAR? Xstar is avaible in several different ways. The XSTAR package is now integrated and distributed with the HEASARC's standard HEADAS package, so if your facility has this package installed then you already have access to xstar. A bug has been found in xstar version 2.53 which affects the spectrum output to xout_spect1.fits. This therefore also affects the atable created by xstar2xspec. A patch is available from the heasoft 'known issues' page. Or get the current develop version. XSTAR is also available as a standalone package. The standalone XSTAR (or the full HEADAS), is available in either source or binary versions and it can be downloaded from here . The release version of xstar is now available on hera. To use it, you must install fv and set up your environment to use it (fv is part of the standard heasoft software distribution or it can be installed standalone), and type 'fv -r xstar'. Input parameters are specified by prompting or else on the command line. Currently the output is buffered in large blocks, rather than printing each line of output as processing progresses. Thus it may appear that nothing is happening for a while until the buffer fills and is sent to your screen. It's also possible to start up the xstar task in hera, and then retrieve the results later, without having to keep the command window open. One would need to specify all the parameters directly on the command line, and also add a "-nowait " flag. For example: "fv -r -nowait me@milkyway.gsfc.nasa.gov xstar cfrac=1. temperature=400. ..." You will then receive an email message when the job is finished, with instructions on how to retrieve the output. An analytic model for calculating warm absorber and emitter spectra within xspec is available. This has the advantage that it avoids the intrinsic approximations associated with use of tables for absorption with variable abundances treated as multiplicative parameters, and the intrinsic clumsiness of the use of tables. It also allows the use of arbitrary spectral resolution, not limited by the internal xstar spectral resolution. To use it, download the tarfile, unzip and untar in your user area, and follow the installation instructions contained in the README. This includes the analogous routine which simulates the absorption (and emission) by a gas in coronal equilibrium. Scattered emission can be modeled using the 'windabs' model. These routines are still in the testing phase, so please send reports of bugs and problems. The develop version of warmabs, is here. It must be used with population files constructed with the develop version of xstar. A version of xstar which allows for parallel computation of a grid of models has been developed by Michael Noble of MIT. pvm_xstar fosters parallel execution of XSTAR over large, time-consuming sets of parameters. A php tool for making the xstinitable.par file needed by xstar2xspec is provided by D. Maitra of the University of Michigan here. This is a GUI form which produces the file in ascii. No error checking is provided. 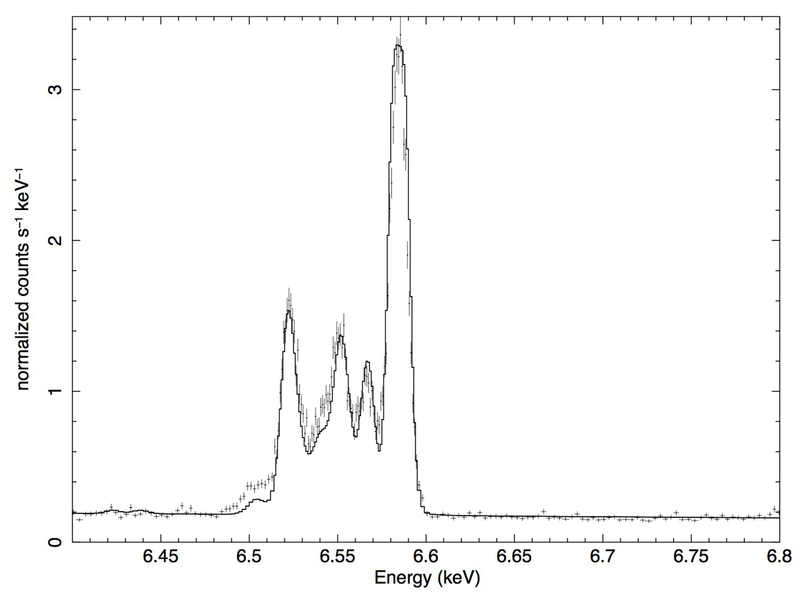 An analytic model for calculating interstellar absorption within xspec is available. This utilizes the same atomic data as xstar and warmabs but allows the column densities of the ions to be free parameters rather than being prescribed by ionization equilibrium. It also allows the use of arbitrary spectral resolution, not limited by the internal xstar spectral resolution. To use it, download the tarfile, unzip and untar in your user area, and follow the installation instructions contained in the README. A paper describing the tool in more detail is available here. XSTAR documentation is included as part of the standard source distribution and is also viewable online or can be downloaded as a PostScript file or HTML. Postscript plots of atomic rates(42 Mbytes). An ascii version of the xstar database (28 Mbytes). The xstar database sorted according to process. (16 Mbytes). Sample output: Lexington H II region. UADB, a comprehensive database for atomic data..
Lexington Conference with information on the Lexington Benchmarks for photoionization codes.